A Pessimist Is Never Disappointed: "How's Everything At The Front Of The House?" GLORIOUS New Racket From Superchunk! Play It Here! "How's Everything At The Front Of The House?" GLORIOUS New Racket From Superchunk! Play It Here! 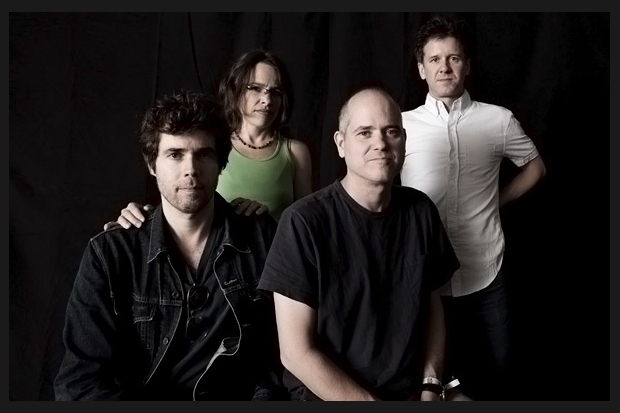 Superchunk have dropped their "We're An American Band"-jam, name-checking sound guys and everything. "How's everything at the front of the house?" goes the refrain of "FOH" and it's from Superchunk's upcoming disc I Hate Music out August 20, 2013 on -- you guessed it! -- Merge. Unfortunately, it looks like bassist Laura Ballance won't be going out on the road with the guys this tour. A note on the band's website explains her concerns with her hearing and I can attest that the 'Chunk can be gloriously, deafeningly loud in a live venue. Still, support these American indie legends: buy the record, see the shows, buy the gear...and play "FOH" below.